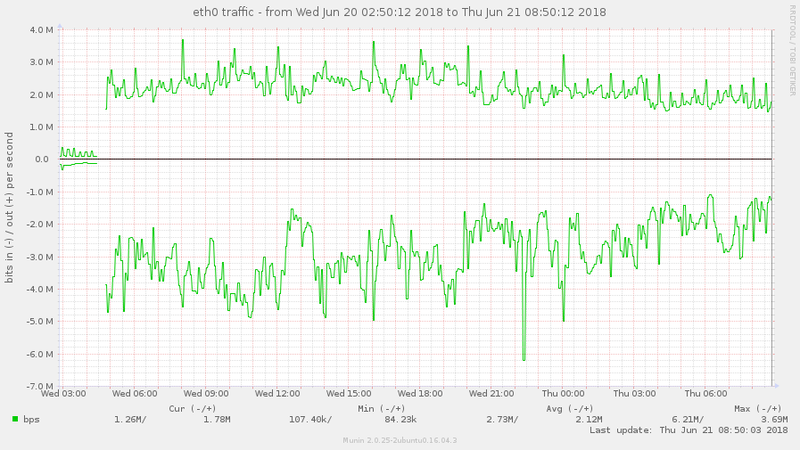 Depending on what you want to monitor, you'll want to install munin-node. On Ubuntu/Debian, you'll use apt-get install munin-node, and on RHEL/CentOS, run yum install munin-node. Remember to edit /etc/munin/munin-node.conf, and set your node to allow the server to poll it, by adding cidr_allow x.x.x.x/x. Log into your new instance at https://YOUR-FQDN, with user and password password you specified in munin.env above. If you wanted to expose the Munin UI directly, you could remove the oauth2_proxy from the design, and move the traefik-related labels directly to the munin container. You'd also need to add the traefik_public network to the munin container.